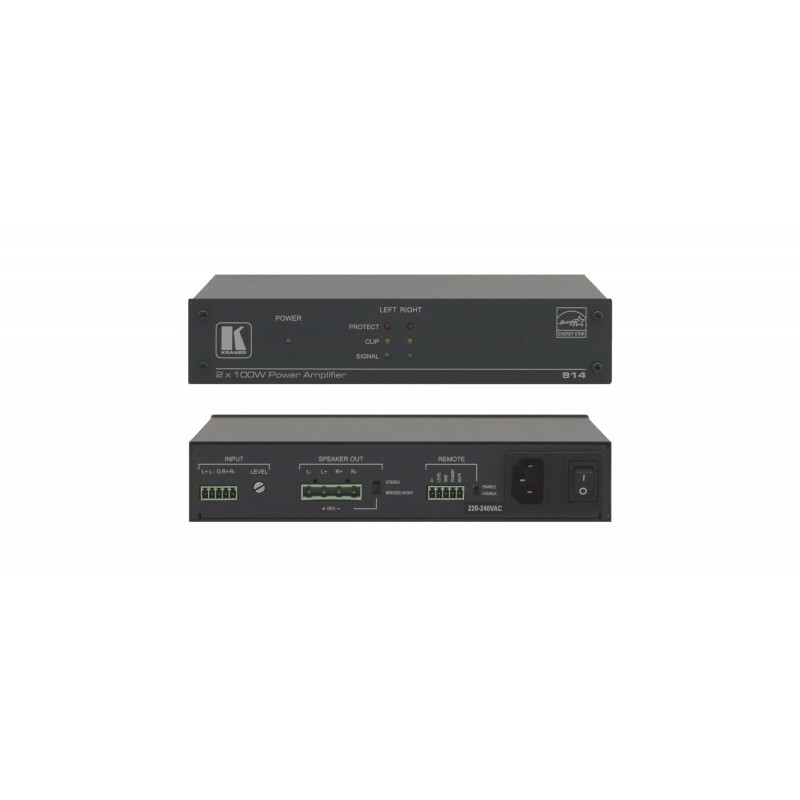 Size — Desktop: Mount 2 units side–by–side in a 1U rack space with the optional RK–1 adapter. 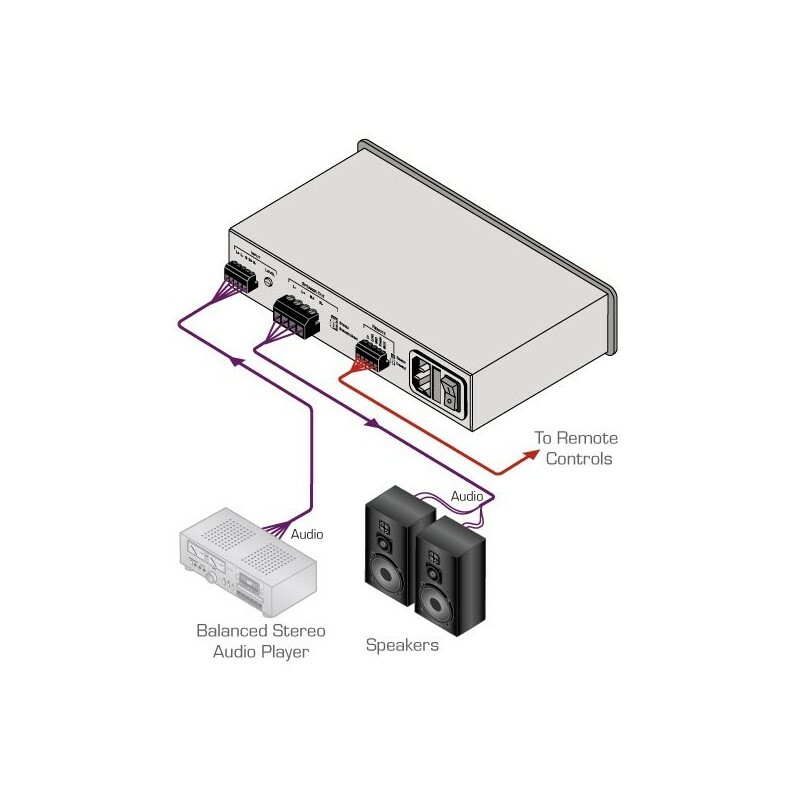 The Kramer 914 is a high−performance 2x100W power amplifier that accepts a balanced stereo audio input on a 5−pin terminal block and converts the signal into a differential stereo audio output for speakers on a 4−pin terminal block. Stereo Mode — 2x100W @4Ω. BTL Mode — 1x200W @8Ω. Remote Control — Volume, standby and mute. Operating Modes — Stereo and bridged mono. Indicators — Independent left and right channel monitoring LEDs. Connectors — Easy–to–connect, detachable terminal blocks.